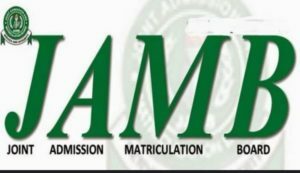 Have you ever thought about the right necessary steps to take so as to avoid “had I known” before registering for the 2019/2020 jamb examination? Having a well planned program for your self before embarking on the long process of registering for the 2019/2020 jamb exams will not only minimize possible mistakes and errors but will increase your chances of securing admission this year. A lot of students or prospective jamb candidates don’t like making proper research about the university that will suit them before choosing such institutions as their preferred choice of study. Before you chose an institution you must consider several factors, first you must check your self if you can stand and compete with other candidates, you should also carry extensive research on the statistics of candidates that applied for the said institution etc. So in this article we shall be discussing on a very hot topic that got to do with things you should do before registering for jamb. the first step to take is to decide on the course you want to study, this will go a long way to guide you in selecting the best institution that will give you the best in your chosen career. There are some factors that i think will guide you properly when choosing your course, although you might have be thought how to chose your course like a friend of mine whose parents told him to study law because they needed someone in the family to claim all their lands their uncle has stolen from them. Never allow your parents to determine what you want to study in school as this might turn out to be the worst decision one could make. You should have a strong drive and passion for the course. The duration of the course : not everyone will like to stay in the institution for a period of 6 to 7 years to study a particular course. most universities and polytechnics are not licensed or accredited to offer some particular course while most have either lost their accreditation. The implication of this is devastating because immediately you are through with your studies you won’t be cleared for service and most employers of labor won’t take your serious. Please make sure you check the current jamb brochure to have a fair knowledge about the status of the institution. Again that note that an institution over all accreditation is entirely different from departmental accreditation. its important you check how many students applied for the institution the previous year as this will give you a true situation on ground of what to expect the coming year. Every year jamb publish statistics of over a million candidates that applied for all institutions in Nigeria, they provide those statistics so that it will help candidates make inform decisions while applying for any institution in Nigeria. Will you like to study close to home? Like in a neighboring state or you will be cool traveling all the way from southern Nigerian to far northwest of Nigeria to study, where you might end up entering a flight or night bus each time you are returning home for a semester. Hostel accommodation create a conducive learning environment for students . You should also check if the school has a hostel accommodation, if no then you should plan ahead of this on time. Feeling too lazy to register your jamb your self, there by Asking someone to register on your behalf.